Edward F. Carr and Jonathan W. Lubow incorporated Trader’s Edge in 1997. We are a full service brokerage house specializing in commodity futures and options. We are members of the National Futures Association and nationally registered with the Commodity Futures Trading Commission. By acquiring the assets of Carr Investments in April of 1998 Trader’s Edge has been able to catapult into the industry with brokers having average trading experience of over eight years. Today We Are A Proud Team That Averages over 24 Years Experience. Mr. Carr graduated from Allegheny College with a Bachelor of Science in Economics. He continued his education by obtaining a Masters in Business Administration in Finance from Fairleigh Dickinson University. His initial career foray was as an account executive of a large commodities brokerage firm. Within five years he was ranked as a top producer and was promoted to management. Shortly after he was recruited by a large brokerage firm as Vice President. His vast experience enabled him to market 4 unique ways of trading in the area of options that has been utilized by many firms, as well as, individual investors. Mr. Carr has appeared as a guest on several investment shows and has given numerous lectures and seminars throughout North and South America. Mr. Carr has had uninterrupted registration with the National Futures Association since December 1981. In 1987 he founded Carr Investments Incorporated. Carr Investments had professionally handled accounts for thousands of client’s worldwide, for ten years. In April of 1998 Carr Investment’s assets were acquired by Trader’s Edge Inc. Mr. Carr took over the role of President and Jonathan Lubow as vice-president. 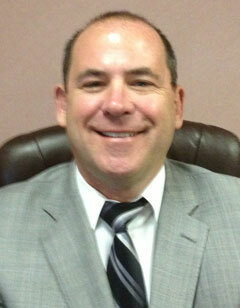 Mr. Carr has been married over 36 years, has four children and resides in Morris County, New Jersey. His favorite sports team is the NJ Devils. Hobbies include chess, cards and travel. Mr. Jonathan Lubow graduated from Dartmouth College in 1989 with a BA in History. In 1988 he worked on the floor of the Chicago Board of Trade (CBOT). He has had uninterrupted registration with the National Futures Association since 1990. 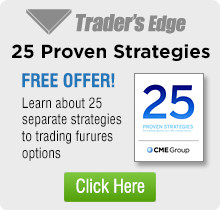 Prior to forming Trader’s Edge, he was the number one broker for his firm for five straight years. At Trader’s Edge he maintains the position of vice-president while still trading and servicing customer accounts. 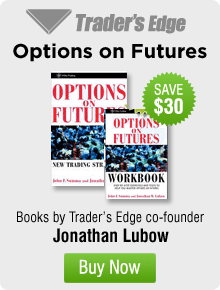 In 2001, Mr Lubow co-authored Options on Futures: New Trading Strategies and Options on Futures Workbook (John Wiley & Sons) with John Summa of OptionsNerd.com. Mr. Lubow is married with two children and resides in Morris County, New Jersey.